Home » Your Credit » Are Credit Monitoring and Identity Theft Protection Worth the Cost? When you open a credit card account there are a variety of new concerns presented. How are you going to protect that precious piece of plastic from theft along with your identity? How can you monitor the effect this card has on your credit? Lucky for you, credit card companies have it all covered. Obtaining a credit card is never as simple as sending in an application and getting the card in the mail. You will be presented with a host of additional offers and it’s up to you whether you want to pay the extra monthly cost for them. So should you? How can you determine if these extra services are valuable or just another way for credit card companies to make money? Identity theft occurs when someone uses your name fraudulently to gain access to sensitive information and ultimately, your money. 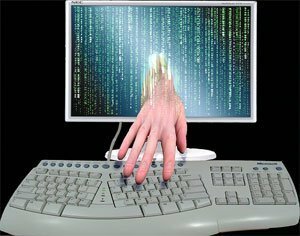 According to Gartner research firm, approximately 15 million Americans are victims of identity theft every year. If you’ve ever experienced identity theft, you know the pain of being left with hundreds or thousands in fraudulent charges to handle, not to mention the damage to your credit and financial reputation. That’s why a lot of credit card companies offer insurance for this scenario. As an example, Discover provides such insurance along with their Identity Theft Protection package. They’ll provide you with up to $25,000 to cover fraudulent charges, legal costs or lost wages associated with restoring your credit. The actual insurance comes from Virginia Surety Company, Inc. and the total cost is about $13 a month. Credit monitoring can help you accomplish a few things: Check for fraudulent activity, catch errors on your credit report and keep track of your credit score. This service is often offered by card issuing banks, as well as credit reporting bureaus and other companies. In most cases, the price runs between $10-$20 per month. You are granted access to your report and score, and alerted to any activity or changes. Creditreport.com offers such a service where you can sign up for a credit monitoring and identity theft protection service for just $19.95 per month. With this service, you can access your three scores, monitor your credit reports, get an alert when your credit score changes, and more. Do You Really Need These Services? As far as identity theft protection goes, being smart about keeping your personal information secure will guard you against most threats. Things like using online banking over a secured connection, carrying only the cards you really need and shredding all financial documents you’re discarding are all sound measures you can take to protect yourself. However, in the event someone does get their hands on your card, you might be very thankful you’re insured for the charges. You can also do your own credit monitoring at no cost. You are legally entitled to view your credit reports and scores from the three major credit bureaus once a year. AnnualCreditReport.com is the only website authorized by Equifax, Experian and TransUnion to provide this service to you for free. However, considering how important it is to regularly review your credit reports, if you know you aren’t going to be proactive about checking up on your credit, paying for the service may be worth the cost to you. In all truth, none of the above services are anything you couldn’t do yourself for free. The real question is whether you want to put in the required time and effort to do them yourself or would rather pay someone else to handle it for you? I agree that having a monitoring service will not do much good to be honest. Getting notified that someone is about to ruin my day is not going to be a good idea. I would rather grab a credit report every 3 months or so. Personally, I’m not a fan. As you mentioned if your reason is for identity theft, alerting you that you’ve just become a victim doesn’t do much good. And as a “score watch” tool, I agree with you again, Just get the annual credit report. Get one from a different bureau every 4 months. I get Zander Insurance (ID Experts) not so much for the monitoring, but for the cleanup. If a breach of some sort were to occur, they have a team of people that will help me get everything on track. I hear some issues can be quite a nightmare to deal with and require hours of your time to get everything back on track. In fact I just called them the other day because my Driver’s License disappeared and they had some great advice for me about it. You hit the nail on the head! It really comes down to knowing yourself and whether you’ll be proactive about your credit and identity. If not, there are services that can help. However, the ones listed here are really expensive! There are plenty of alternatives for a fraction of the cost, like credit monitoring for $3/month or identity theft protection with a $1 million guarantee for just $8/month. You can get these services at Quizzle.com. As far as identity theft protection goes, it’s important to really look at the fine print. Many companies promote a $1 million guarantee to cover costs in the event your identity is stolen, but if you look closely, what the insurance actually covers is limited. Make sure your protection covers lost wages and any other expenses you might incur. Personally, I would never spend money on these services. But I’ve had free monitoring a couple of times due to security breaches (so the companies offered free monitoring) and it was a nice convenience. So I can see their benefit (kind of). I agree with your last question, it’s only worth it if you aren’t willing to take the time and be in charge yourself.